Billy Dee Williams as Lando Calrissian in Star Wars. This week sees Salt Lake Comic Con once again invade the city’s downtown area. With tens of thousands of tickets sold for the new FanX event, it’s on track to be the biggest convention Salt Lake City has ever seen. And for those of us who are less interested in Olympic sports or organized religion, FanX will be the most exciting event to happen for geeks in Salt Lake City in … well, ever. Congregating on the streets around the Salt Palace Convention Center will be thousands of costumed geeks of all kind, curious onlookers and celebrity guests from the far future and galaxies far, far away. 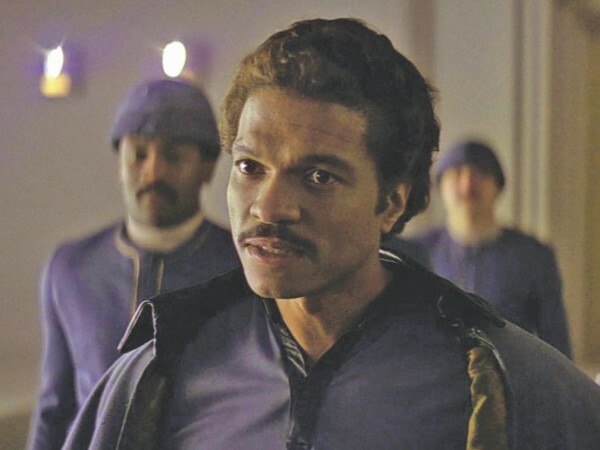 One such celebrity guest coming to the throne of the desert empire is Billy Dee Williams, who might be best known as Lando Calrissian from the classic Star Wars trilogy, as well as Harvey Dent in Tim Burton’s first Batman film. Few among us might only know him for his recent stint on a television show that involves some manner of dancing. It’s not his first time coming to Salt Lake City; he’s filmed three movies here over the years, and describes our state as a different country, albeit one he has a lot of love for. He also reminisces about the way things in the movie industry were in the 1980s, when he was able to take his first step into the world of geekdom that he’s so well-known for today. And touch people’s lives he has. He gets asked constantly to quote lines from movies and advertising he’s done that he barely remembers saying in the first place. The two biggest quotes he’s been asked for are from his time as Lando, and from his appearance as the Colt 45 malt liquor pitchman. As a working journalist chatting with one of the core cast members of the original Star Wars trilogy, I was obligated to ask about him about potentially reprising Lando for the upcoming Episode VII. He’s not been talked to about it, but he doesn’t see Lando retiring. And I don’t think that’s a bad thing, anyway.